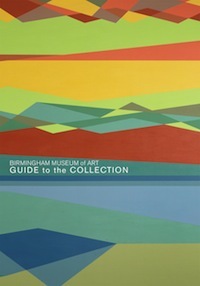 The Birmingham Museum of Art last published a comprehensive guide in 1993 which highlighted 130 of the 14,000 art objects included at that time. Now, seventeen years later in celebration of the Museum’s sixtieth anniversary, this new guide features exquisite, all-new photographs of more than 250 artworks representing the Museum’s collections, which now include 24,000 pieces of Asian, European, American, African, Pre-Columbian, Native American, and Contemporary art. The guide functions on several levels. The Foreword and Introduction outline the steady development of the Museum from its modest beginnings within City Hall in 1951. A major donation from the Kress Foundation in 1952 set a high quality standard, and the estate gift of Helen Jacob Wells made possible the Museum’s current building (1959) in the heart of downtown Birmingham. A 1993 building addition gave the Museum a sculpture garden, new gallery space, a café, an education gallery, an auditorium, and two studios. The rest of the guide features comprehensive sections about the Museum’s major collections, each beginning with an essay by the curator(s). Among the highlights are the Museum’s internationally known Wedgwood pottery, the largest collection outside England, and the finest holdings of Vietnamese ceramics in the United States. 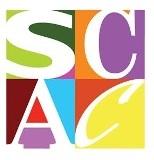 Dedicated to William H. Spencer III (December 1920 - March 2010), who served as Museum Board chairman for twenty-three years, the guide pays tribute throughout to the many individuals who have shared their personal acquisitions with the Museum. Narration accompanying each photograph offers in-depth information about the history of each piece and its significance. The Modern and Contemporary Art section offers a fascinating explosion of art forms—everything from the whirling frenzy of a drawing by Salvador Dali (Madonna Corpusculaire) to the range of works by Southern artist William Christenberry and the “folk” or “self-taught” art of key Alabama figures such as Bill Traylor, Mose Tolliver, Lonnie Holley, Thornton Dial, and the quilters of Gee’s Bend. It also includes unique video representations. …the clarifying light poured through their open forms, and I saw that they were shaped by spirit palpable as bronze, and witnessed their union—literal as air. Ruth Beaumont Cook, author of Guests Behind the Barbed Wire, is at work on a history of Sylacauga marble and the company village of Gantt’s Quarry.